"The Goths were aglow with excitement and pleasure from all the death defying amusement they’d been hopping around to, unimpeded by others getting in the way trying to do the same." Do you like what you've read here? If so, please make a comment in the box at the end of this chapter. It was the third Friday in April. My mom was very pleased with the arrangements I’d made to spend the weekend with Sam. Sometimes it was difficult to gauge who was happier that I had a best friend now, my mom or me. When I’d first introduced Ms. Sun to my parents, I’d been careful to do so only after it was well established that my new friend was the highlight of my life. That way when they met her, out of pity for me and a desire to keep me happy, no matter what the cost, they would smile and be pleasant to my horrifying Goth girlfriend, instead of diving in front of me like secret service agents when they saw her for the first time. But just like with any truly good person, the shell seems to become less and less important as the inner core becomes more and more apparent. Sam was extremely mature and easy going and engaged my mom’s affections instantly. Her being good to me was truly all that was necessary, though…and she excelled at that. I suppose Mom thought that we were just going to hang out at Sam’s after school and then have a sleepover. She didn’t ask for specifics and I didn’t offer them. The real plan was to cut school and head to Mason, Ohio, a northern suburb of Cincinnati, and the home of King’s Island amusement park. I had been extremely skittish about cutting class and leaving the state overnight, but it was in the name of fun and Sam was counting on me. Her insistence that I always be present when Trevor was around had never diminished, and with a hotel reservation mixed into the plans, she’d made it clear that my presence was mission critical. She didn’t use the term, but eventually it dawned on me that I was their chaperone. Mine did, apparently. Maybe it was the ‘sophistication’ I added to the trio. Probably it was that they needed a normal looking person to represent them in front of the authorities. Whatever the draw, I was, as always, flattered and grateful to be included. A day at King’s Island was the opposite of my idea of a good time, but I simply couldn’t say no to them. Though, I had made it clear that I would only ride one roller coaster one time. And that if I even sensed the mental vibration of coercion to do any more than that, I would hide from them the rest of the day until the fireworks at ten o’clock. Leaving the house at our normal time for school put us at the park at exactly the time when the gates were opening. I had debated about how I could let my security people know my plans, but short of writing a leave-behind confession in a diary, there didn’t seem to be a way to tip them off appropriately. Instead I decided to let them earn their keep and scramble, the way they would if I didn’t know about them. So when our car took the ramp toward I-71 north, instead of staying straight on our way to school, I knew that several people were on their way to having a bad day…or maybe just an interesting one…hopefully. Unfortunately, nobody would have time to pack clean underwear or a toothbrush. They had those things in Ohio, right? Because it was a weekday, the crowd was sparse, though some people had come to celebrate their Spring Break. Neither Sam nor Trevor had ever been there before and they were both very excited about the opportunity to ride everything with absolutely no waiting. Though I felt sick with dread, I dutifully marched them straight into Rivertown, the neighborhood of the park that was the residence of ‘The Beast’. It was a fitting introduction to their experience at King’s Island. For a person who hated roller coasters so much, I still proved to be an excellent source of historical and technical information about the world’s most famous roller coaster. I explained interesting details like the fact that it’s the longest roller coaster in the USA and the longest wooden roller coaster in the world, sprawling over thirty-five acres, and producing a ride that tops out at nearly seventy miles an hour, but still takes over four minutes to complete. 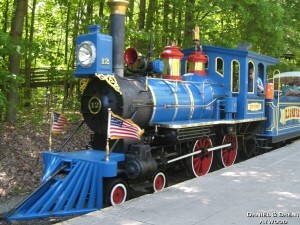 Some forty million riders had experienced The Beast since it first opened in April of 1979. As of this morning it would be forty million and three. Though they thought I was humoring them, which certainly worked to my advantage, I had other reasons for riding The Beast. It was a connection to the past, and to my father and grandfather, who had indoctrinated me with all the technical data related to this attraction. Both of them were G force junkies, and this ride provided three G’s on the big one hundred forty-one foot drop of the first hill. I always rode with my eyes closed and this day was no exception. In fact it was a helpful way to facilitate the fantasy that I was riding with my dad by my side, instead of Trevor. It was bittersweet. The last time I’d ridden it on a cool spring day like this, my pilot dad was holding my hand, hooting and hollering like a kid. The discomfort was worth the memory, though, and surprisingly, I didn’t cry—because of the discomfort or the memory. Once my duty was fulfilled, I took up residence at a table in the sun near the food court area of Rivertown. 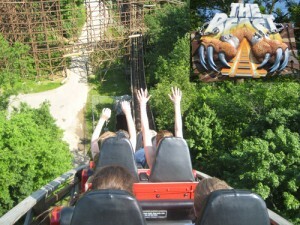 They hurried off to experience the Diamondback roller coaster and its seventy-four degree two hundred fifteen foot drop. I’d been itching for a chance to read my latest paperback purchase, the third book in a popular series—a story about a teenager like me and her dark and mysterious love interest, an older man who also happened to be a vampire. Apart from the supernatural, there were some seriously relatable factors at play here. Sam had recommended the story when we first met, back in the fall. I wasn’t inclined to read anything remotely romantic at that time, but she assured me that I would love it—which of course I did—until I got to the second book in the saga. The story took an unexpected turn down heartbreak highway and I could barely get through it. In fact, when I realized that the vampire was planning on leaving the heroine for her own safety, I wanted to jump into the story and warn her, suggesting that she take off on him instead, and see how he liked being left high and dry. I even had an exit strategy for her, because apparently Forks, Washington actually does have a Mailboxes Etc. in town. “Well, can I skip it or will I miss too much?” I countered still very miffed. Her logical assessment along with my own burning curiosity helped me muscle through the unpleasant parts of the second installment. The story was very well written, but the stunningly accurate descriptions of the feelings that go with losing a loved one and losing the future you’d planned to have with them were nearly too much for me. Ultimately, Sam was right, and by the end of the story, things had gotten back on track, more or less. I was eager to see where things would lead in the third book of the saga, blocking out all sensation of where I was, to escape into a much more interesting and enjoyable fictional landscape. The scopophobic sensation, however, could not be blocked. I fought it for a while, but then I had to look up. Even a normal person would do that periodically, I told myself, if for no other reason than to look around for her friends. So I allowed myself brief glances at regular intervals. I smiled internally with slightly pernicious satisfaction over the fact that the security team would have to work extremely hard to stay out of site today, since practically no one was here besides the Goths and the attraction operators, and the cashier at the Steak Fry and Elephant Ear shack. The Goths were aglow with excitement and pleasure from all the death defying amusement they’d been hopping around to, unimpeded by others getting in the way trying to do the same. This really was the right time to come. Besides there being no line at any ride, it was also quiet and nice for reading. The fact that I’d paid forty-eight dollars to do so was just part of the ‘stupid tax’ for which my abnormalities and insecurities and preferences made me constantly liable. I had explained to Sam in the car on our way north about the concept of ‘framily’. In life, you can’t choose your family. And sometimes certain family members aren’t necessarily your friends. But you can choose your friends, and when you love them as much as family, that makes them framily. It was my sad and pathetic little way of explaining how much I loved them. They liked it, though, and agreed about all of it—especially the part about the family not always being friends, an obvious side effect of life as a Goth…or maybe the cause? Throughout the day I would take breaks from my book to join them on Ellery-approved, and therefore totally lame rides and attractions like Scooby-Doo and the Haunted Castle, the Grand Carousel and the king of lame rides, the King’s Island and Miami Valley Railroad. 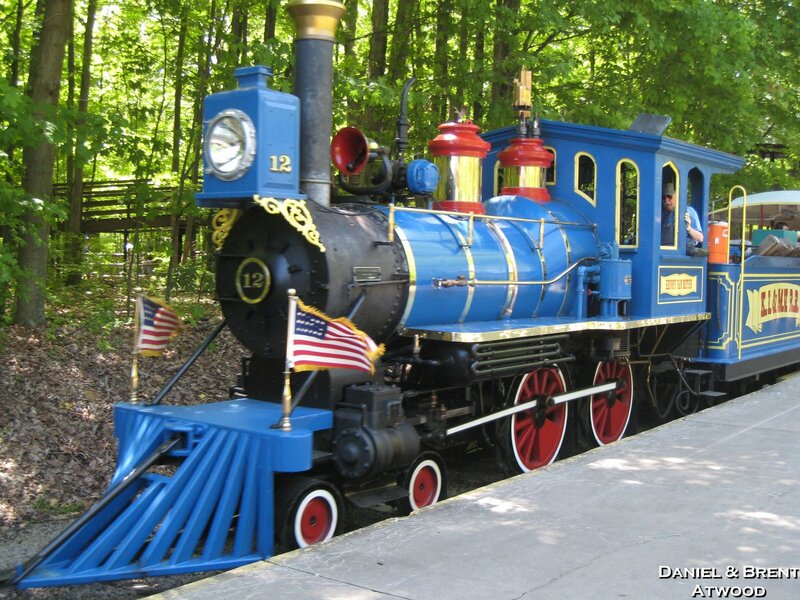 There was lots of vindictive pleasure to be had in making everyone ride in a circle at five miles an hour around the park on an old fashioned train ride. But they did it anyway, because despite all that was backwards and unlikely and lame about me, I was still, after all, framily. CARE TO RIDE THE BEAST? CLICK THE PHOTO. Are you enjoying this chapter? What do you like about it? Enter your comment below. Thank you! Everytime I read about the character Sam I think of Briar Rose from the game Fable designed by Lionhead Studios. Mayne Attraction: a novel series by Ann Mauren.